Discription. 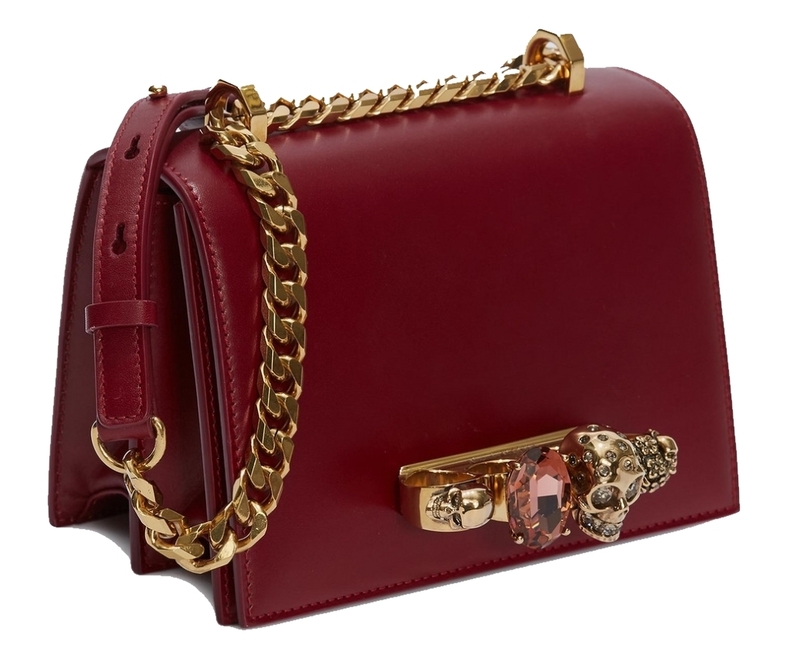 Dark rose smooth calf leather Jewelled Satchel. The bag can be worn multiple ways: hand-held using the ring handle or by doubling up the straps. Alternatively, wear over the shoulder or across the body using the leather and chain straps.